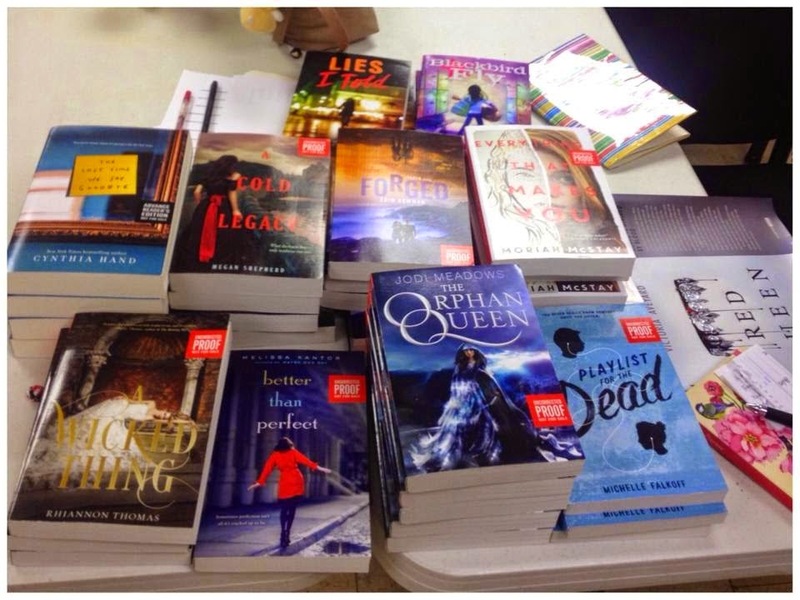 Book Whales: Best of 2014! 2014 was a great year for Book Whales. 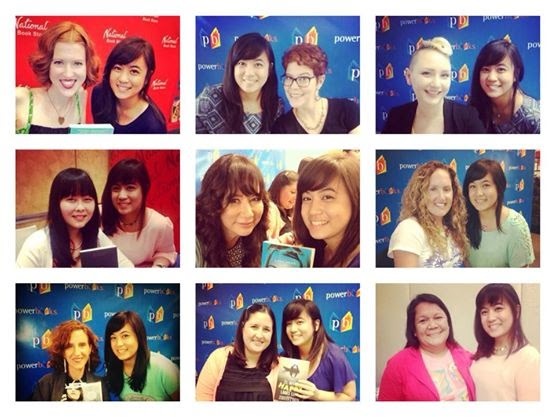 I was able to meet and greet International authors and personally interviewed them. I went to about 6 signings in total. Every month there will be an author and sometimes authors! Though, I have some "absent in class" moments to some events but that didn't stop me from not getting my books signed. Special thanks to Precious, Louisse, Leslie and Jesselle for adopting by books. Here are my fangirl moments! Thanks to National Book Store. I was part of the Dark Caravan Blog Tour. Book Whales will be included for the Exquisite Captive paperback. Thanks to Heather Demetrios and HarperCollins. Then meeting Sarah of HarperCollins! 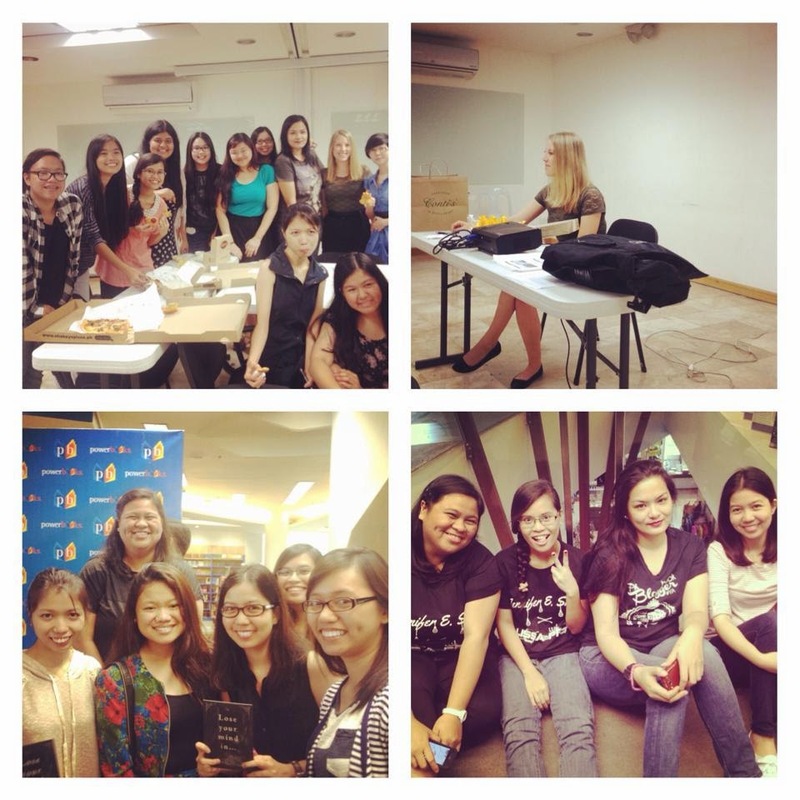 Not only did she visited us in the Philippines; she prepared games and showcased the upcoming Winter 2015 books. Finally, my greatest achievement is gaining more friends from the blogger community. 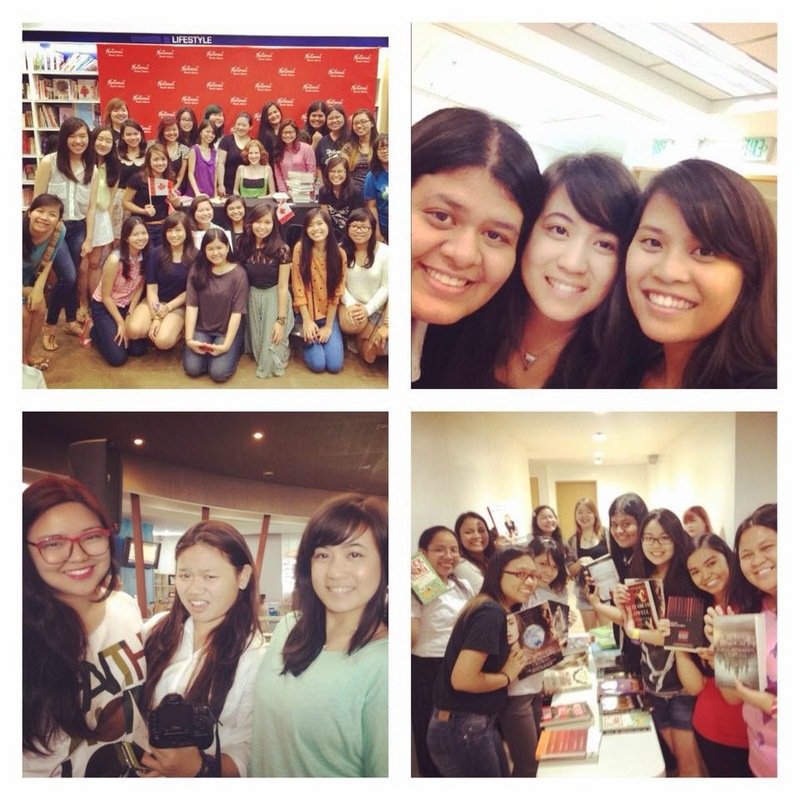 The ladies of Pinoy Book Tours! The huge part of me excitement during the signing events is meeting them. My New Year's resolution is to be more active this 2015. Despite my work as a nurse, blogging and reading is my anti-stress. I will be be more present in the blogging community. I am also looking forward to the upcoming signings. Who's next? Ohhhhh I can't wait. There you go! It's not much of a highlight and I bet you have more interesting experience. Don't forget to comment and share it with us.